Do you know what Cu stands for? Meet copper a golden retriever mix! Do you know what Cu stands for? Home arrow_forwardFeatured Animal Rescue Transportarrow_forwardDo you know what Cu stands for? It means Copper, who is our featured transport! He is a three year old golden retriever mix. Copper was recently saved from Jefferson Animal Control in Jefferson, Georgia. Copper was transported over 600 miles from Jefferson, Georgia to Labadie, Missouri. Copper had to be tested with how he would interact with other dogs before a new rescue could take him. He was tested with a small dog first and did very well. When Copper was put with a bigger dog, he was not very fond of them compared to the smaller dogs. He was giving everyone mixed signals on whether or not he would do well with other dogs, so the rescue would not take him. 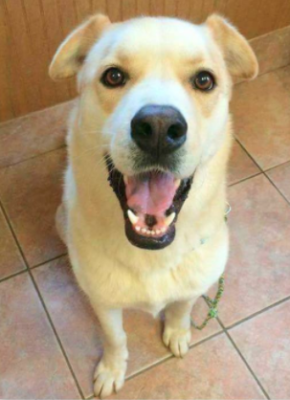 Just when Copper’s new rescue could not take him, Dog Saver Rescue came to save him ! The mission of Dog Saver is to rescue and rehabilitate stray, abandoned, neglected, and abused dogs, to nurture them in foster care, to provide veterinary care and socialization, and to place them in a forever home where they are properly cared for and loved. Copper is currently at his new foster home in Missouri. He had a very amazing transport, as only one volunteer driver took him all the way from Atlanta, Georgia to Missouri! Copper was greeted with a stack of travel necessities including blankets and a few toys. 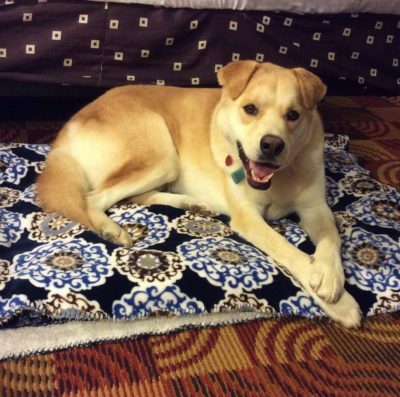 Copper and his driver also had an overnight in Tennessee, where they stayed at a pet friendly hotel. With the help of Rescue Transport USA, who coordinated Copper’s transport, he was transported safe and sound to his new foster and is ready to find his forever home. Rescue Transport USA’s main mission is to help animals move from high kill shelters to their forever homes or rescues. 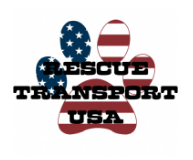 To learn more about Rescue Transport USA, click here.